1. Pre- and postoperative urodynamic findings in patients after a bulbourethral composite suspension with intraoperative urodynamically controlled sling tension adjustment for postprostatectomy incontinence. Horstmann M, Fischer I, Vollmer C, Horton K, Kurz M, Padevit C, John H Urology. 2012 Mar;79(3):702-7. Epub 2012 Jan 13. 2. 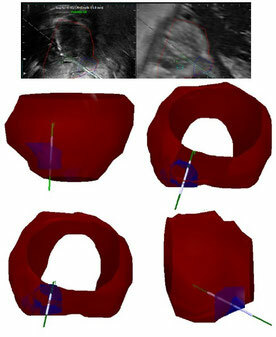 Single-centre evaluation of the extraperitoneal and transperitoneal approach in robotic-assisted radical prostatectomy. Horstmann M, Vollmer C, Schwab C, Kurz M, Padevit C, Horton K, John H. Scand J Urol Nephrol. 2012 Apr;46(2):117-23. Epub 2011 Dec 16. 3. The Urethral Anastomosis in Orthotopic Neobladder following Robot-Assisted Radical Cystectomy (RARC) at German-Speaking Centres]. Horstmann M, Kurz M, Padevit C, Horton K, John H. Aktuelle Urol. 2012 Jul;43(4):250-4. Epub 2012 Aug 6. German. 4. Robot-assisted laparoscopic repair of high vesicovaginal fistulae with peritoneal flap inlay. Kurz M, Horstmann M, John H. Eur Urol. 2012 Jan;61(1):229-30. Epub 2011 Oct 3.